Watch Japanese anime & Asian Drama legally! Videos are subtitled in English. Download the app to watch the latest anime from Japan in English and legally! 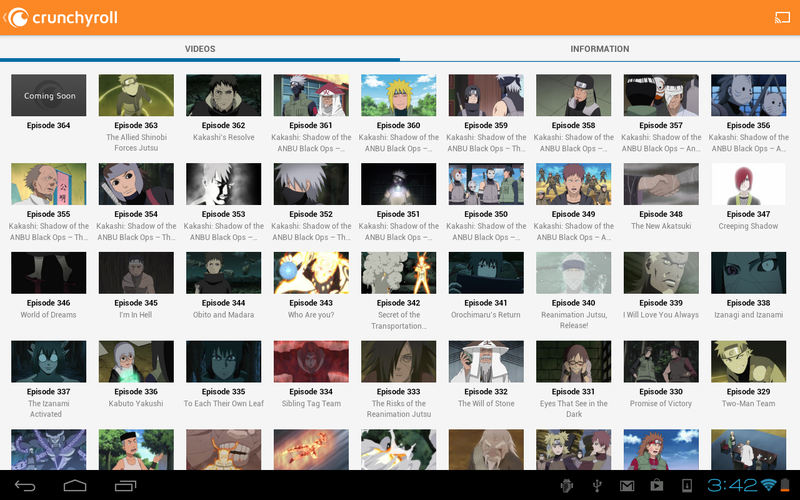 Now you can watch new episodes 1 hour after airing in Japan on your Android over WiFi & 3G/4G. * The 0.6.0 had a lot of changes, so if you’re encountering some crashes, try clearing your data. * Queue is currently available only from the mobile interface. Tablet users can switch to the mobile interface to gain access to Queue. * Sprint customers are currently experiencing problems with a Sprint network issue. This is a known problem and we are actively working to resolve it. Crunchyroll.com is the largest website for licensed Asian entertainment such as Anime and Korean Drama (K Drama). 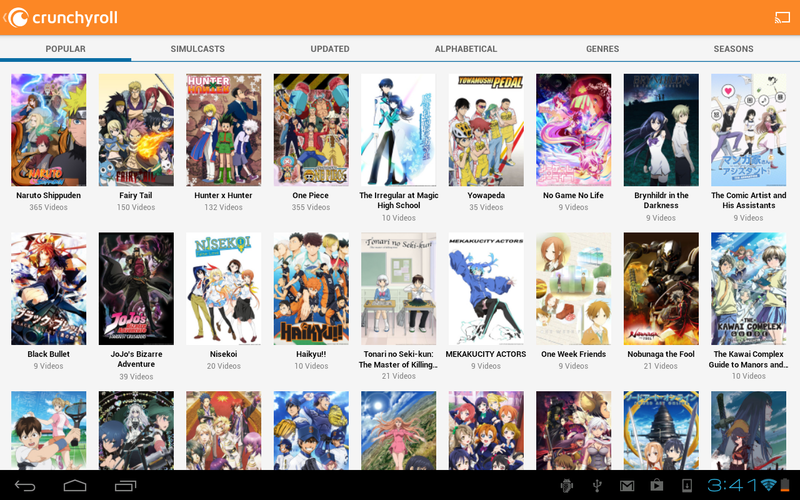 Proceeds from the subscription service are shared among Crunchyroll’s content publishers. A select few titles are restricted according to licensing constraints. 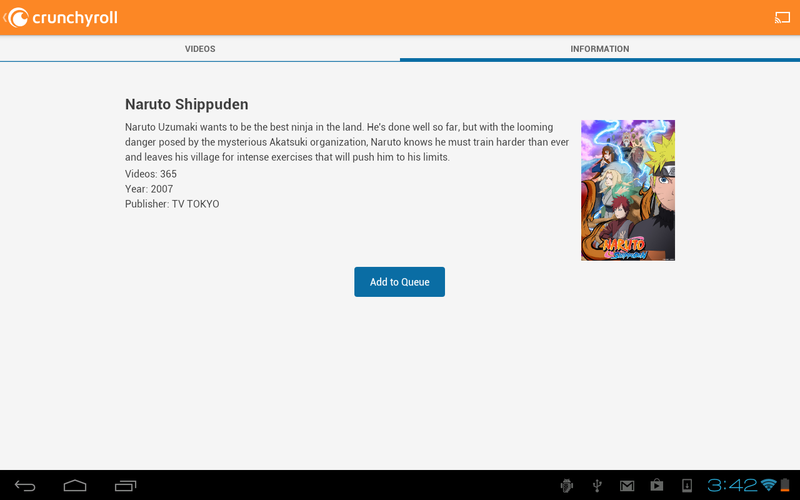 Many videos from Crunchyroll.com are still being encoded. Each episode will appear in the app as soon as it is ready! This app is loosely tested on Nexus One, Droid (original), Galaxy Tab, HTC EVO and Samsung Moment devices. Archos devices are currently unsupported due to software compatibility issues. Users of Xperia devices may encounter certain software issues.